The sophisticated version of the classic vacation drink, complete with silky, creamy goodness. 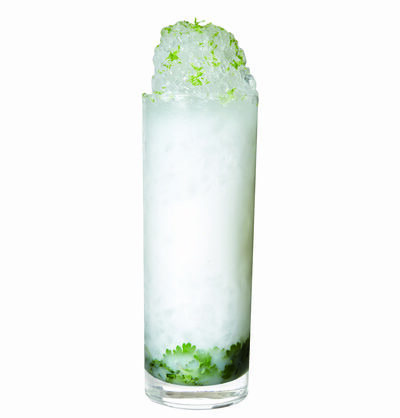 In a highball glass, tamp the cilantro leaves, fill the glass with crushed ice, add the vodka, tequila, coconut milk, and lime juice and stir to combine. Add a mound of crushed ice, garnish with lime zest, and serve with a swizzle stick.